← Thought for the Day: Time…..Your enemy. Understanding Flying Corvairs Pt. #8, Learning from other’s mistakes. I wrote the story How I became a genius in 6 minutes about the man’s first flight, where the engine was severely damaged. Yesterday I commented on his choice to still try to use the same carb in: Thought for the Day: J.S. Mill – On Liberty. Today several people sent me a link to his page where he reports his carb still chronically leaning out. “A personal example of why I don’t like Bing carbs; Steve Rahm, our neighbor at Spruce Creek, designed and built the ‘Vision’. It had a Stratus EA-81 Subaru with two Bings on it. Since they basically ran full time carb heat, he wanted to try cool ram air in search of more power. He went as far as testing the set up with a gas leaf blower on the ground. He did this because some people said Bings don’t like ram air. On take off it worked great, until the plane hit 70mph over the trees at Spruce Creek. Then the carbs shut off all by themselves. Plane slowed to 65, power comes back a little. Very skilled flight at tree top level is executed. Several minutes of listening to the rough engine clawing its way around the pattern. He appears on final gliding in. Steve was a new dad, and his own father had been killed in a plane when Steve was a young man. I could not believe that I was about to witness a horrific repeat of a family tragedy. He barely made it, touching down at 75 mph. People on hand thank God aloud. From the story :A question of Carb location….. I have no idea why someone wishing to do something different with carbs would not read all the available information. The mans website notes says that if his tests don’t work, he may later use an aircraft carb like I recommend. Above, three aircraft parked in our front yard. L to R, Louis Cantor’s 601XL – MA3-spa, Grace’s Taylorcraft – NAS-3 and Dan Weseman’s Cleanex, MA3-SPA. This was taken on the day we flew a flawless test flight in Louis’s 601, the same plane as the man in question is trying to fly on the British car carb. I ask, why not have the sucess that Louis had? Most of the people who are looking at a cheap carb don’t think I know what I am talking about. I find the concept that a guy who has tested either zero or one carb on Corvair flight engines assuming that his guess is more valid that my 20 years of testing, annoying. 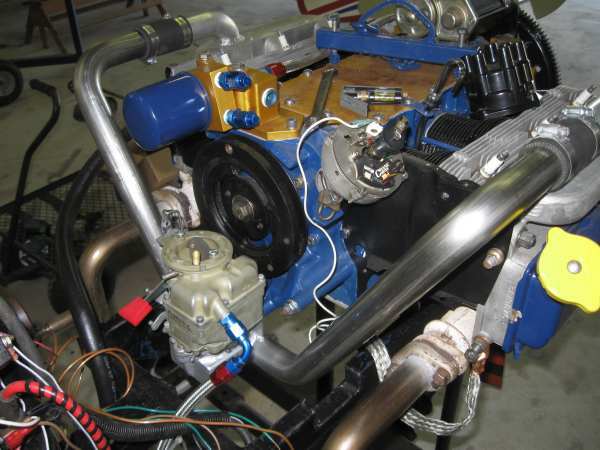 On the subject of low-cost, it isn’t a stretch to say that I know more people building a Corvair engine for a plane than any other person on Earth. While cost may be an initial attraction, the reason why people stick with it is to learn something, be proud of what they have done, and experience this in the company of other like-minded aviators. If you want to fly cheap, rent a Cessna 150. If you want to do something rewarding, fly something you built with your own hands that is reliable and works well. Playing in it are Ronnie Van Zant, Allen Collins, Billy Powell, Steve Gaines, Leon Wilkeson, Artimus Pyle and Garry Rossington. Ironically, today only Pyle and Rossington are left alive. The others died at ages 29, 37, 56, 28 and 49 respectively. 3 Responses to Understanding Flying Corvairs Pt. #8, Learning from other’s mistakes. I have really enjoyed these Understanding Flying Corvairs series! Keep it up! Interesting that you posted the form post of who you have been talking about. I have actually had lengthy conversations with him over the zenith.aero chat.